Amid the hubbub of Mallory Dock, with its eclectic mix of tourists, part-time locals, and street entertainers, I wedge myself between a fence and a row of camera-wielding sunset-watchers to celebrate the daily ritual of watching Earth’s nearest star disappear on the western horizon. As yellow-orange light spreads across the water and a silhouetted sailboat poses against the fiery ball that keeps our planet alive, I hear “Amazing Grace” behind me. Turning my camera from the beauty before me, I focus on the source of the song: barefoot and ponytailed, he hunches over a guitar, singing of the One who holds each star in place. 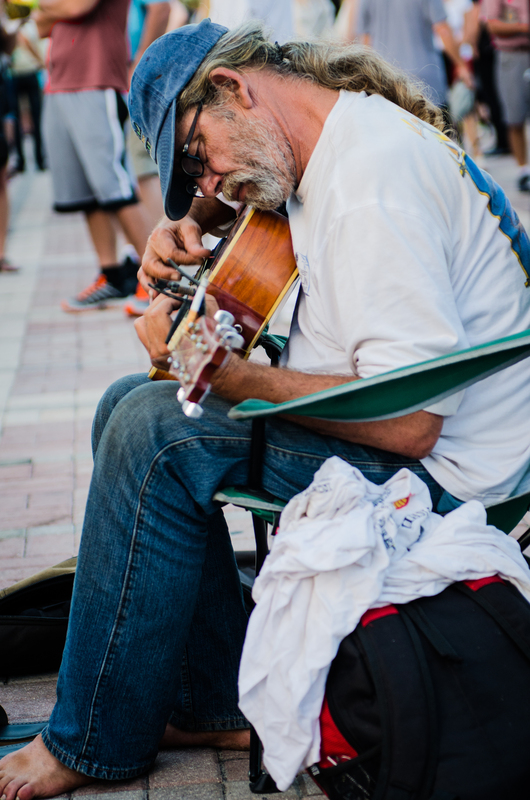 With simple chords and timeless lyrics, a reveling crowd is stilled by one unassuming street musician, reminding us of the Beauty Maker, who paints the skies each evening with an invitation to join Him for eternity. I sing along, losing myself in the beauty of the moment. After the sun and the song disappear, I close my eyes, savoring the scene. That was a month ago. Now I’m juggling. I’m an all-eggs-in-one-basket girl. I’m challenged by juggling… eggs, apples, bowling pins… you name it – I can’t keep it in the air! When Honey and I were recently in Key West for vacation I was amazed by those guys who entertain tourists by juggling flaming torches, swallowing swords, and commanding cats through fiery hoops. 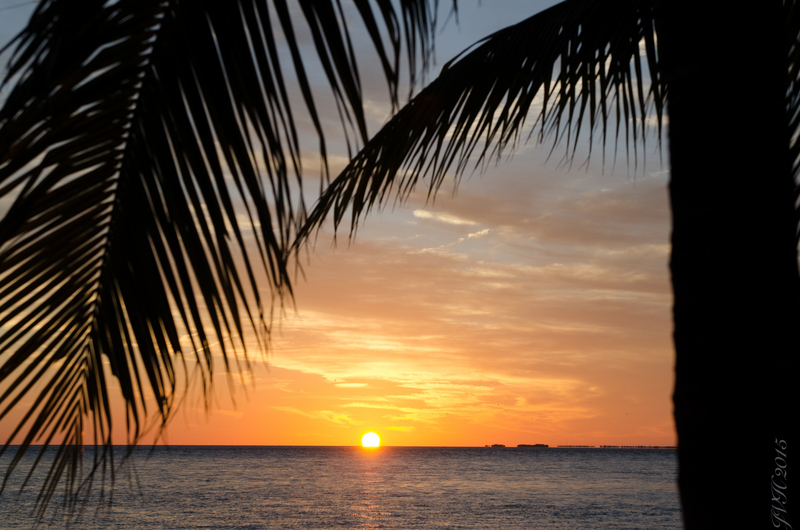 We “ooohed” and “aahhhed,” clapped and tipped our way down Mallory Dock until the sun began kissing the water with orange, pink and yellow light. I didn’t think any more about the jugglers until last week, when I started my new teaching job. I was on my own. Sink…or swim! 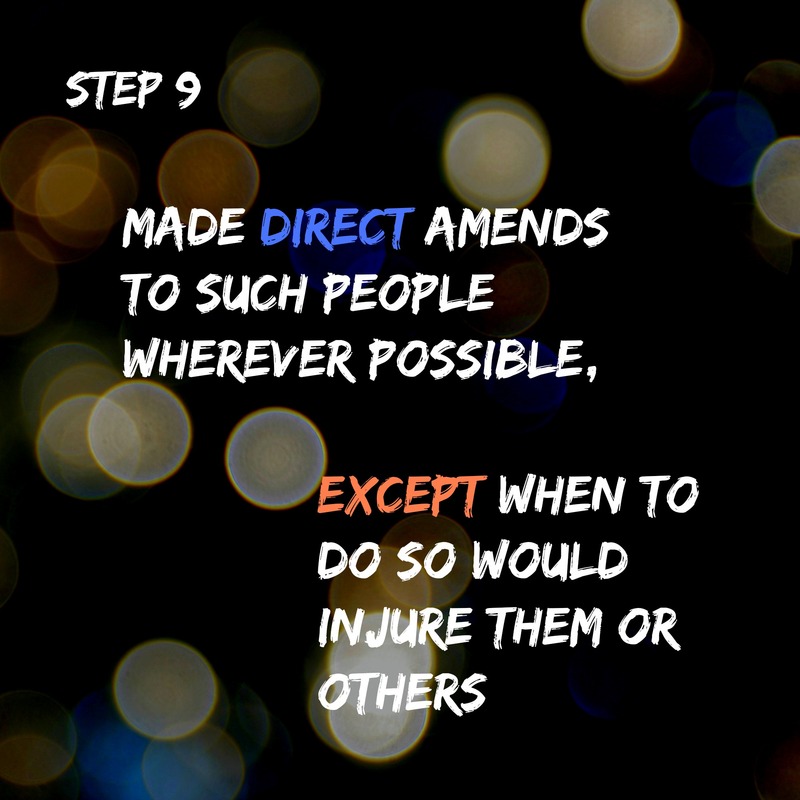 (I’ve been “swimming.” That’s why you haven’t seen me here, writing about Step 11.) Swimming, like juggling, is exhausting. My personal juggling act consists of trying to keep a classroom full of multi-age students functioning and on-task, learning a new school’s system of doing things, effectively teaching an unfamiliar grade level, grading papers, making lesson plans, meeting a deadline for my book, keeping up with my blogging (I’m three or four weeks late! ), posting regularly on my Facebook page (another fail!) and being a good spouse, daughter, sister, auntie, godmom, friend, pastor’s wife, and neighbor. Oh, and keeping groceries in the house and gas in the car that takes me back and forth to work and church. Sound familiar? I’m sure you each have your own flaming torches to juggle every single day! How do we stay sane on our Western World hamster wheels? Did you notice that something, or rather Someone is omitted from the above list? Yes, I failed to mention spending quality time with the ONE who keeps me sane and on the right track; the ONE who holds me together when I want to cry on the way home from school because my nerves are shot and my to-do list is still too long; He who gives me the words to write, the thoughts to think, the heart to love and the patience to work with His little ones. It is only He who sustains me, you…the whole wide world in His big, holy hands. And THAT’s what Step 11 is all about – Getting to know Him by spending time with Him. And pray for the power to carry out His will in my life. By incorporating these three things into my daily juggling act, everything else becomes easier to manage. When I consciously invite God into my little world, taking the time to talk with Him and to listen to the counsel in His Word, I am a more organized, disciplined, compassionate teacher, a wiser, more dedicated writer, and a better friend, neighbor and lover. When I pray for His will to be done and His Spirit to dwell in me, I can say, “yes” to the things that are most important on God’s to-do list and let go of the things He’s not asking me to do right now. I don’t have to juggle the world. Jesus died for the world. I don’t have to be miss perfect-teacher-pastor’s wife-friend. Jesus in me can perfectly love those He places in my path. I can rest in Him, believing that I can do all these things through Christ, who gives me strength (Philippians 4:19). If I just juggle Jesus – keeping my eye on Him, making Him the focus of my life, the rest will fall into place and I will not fall flat on my face. I don’t need to be amazing. I just need His amazing grace. Dear Reader – How to YOU do it? How do YOU juggle life? When and where to you find time to pray and meditate? Please share in the comment section so we can learn from one another. I’d love to hear from you! Who likes to be wrong? Nobody. Who is never wrong? Nobody! Who “promptly admits” when they are wrong? In my experience – very few people. My honey and I were dinner guests. The table conversation was pleasant as we reminisced and chatted about people we knew in common. Subtly the mood shifted when one of our friends began speaking of another in a manner that lacked the seasoning of grace. I listened for several minutes before the topic turned a corner, wondering if those same words would have been spoken had our mutual friend been present at the table. 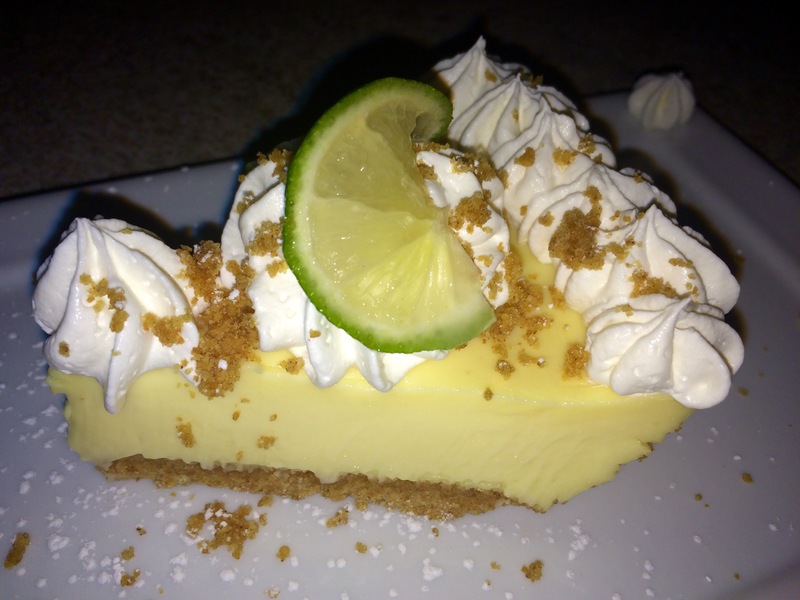 Before dessert was served, I had a pleasant surprise! Our host humbly admitted the unfairness of her words and apologized for speaking them aloud in our presence. What a rare treat! That piece of humble pie tasted sweeter to me than any dessert! I had just witnessed Step Ten. 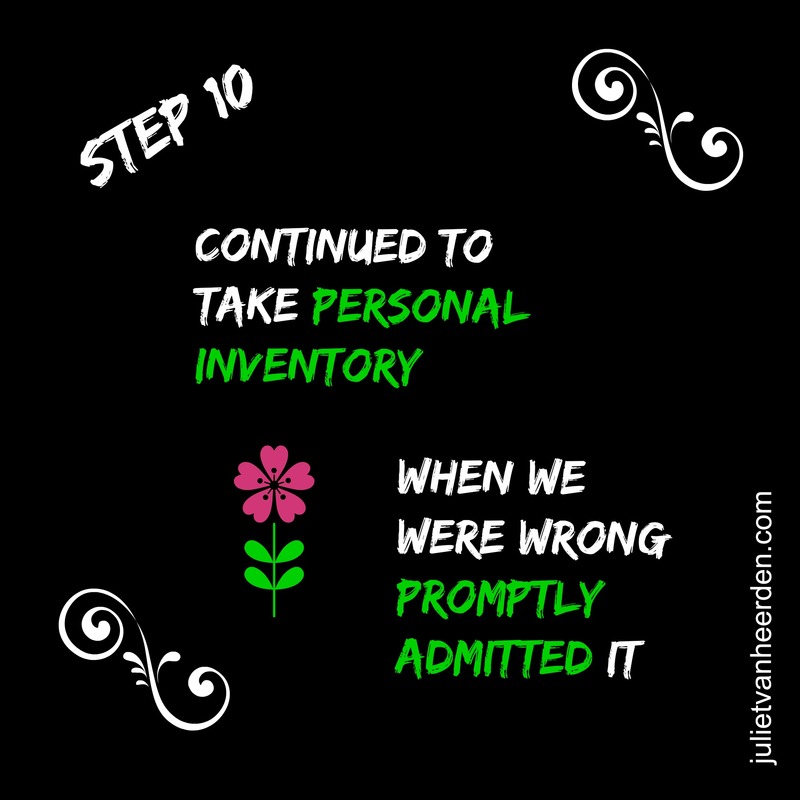 Step Ten has two components: Taking a continual personal inventory and promptly admitting when we mess up. Both of these work best when accompanied by the working of the Holy Spirit in our lives. When we are in the spiral of addiction or are the “co-addict” or co-dependent trying to control the aftermath of a loved one’s out of control behavior, we become little gods of our own lives, often forgetting that we have a God who is more than happy to take the wheel and steer us onto a better life path. We ignore the promptings of the Holy Spirit, choosing, rather, to rely upon our own strength. This gets us nowhere. When we discover Step 1, that our life is out of control and unmanageable, and we learn to submit to the Highest Power of all – God, something begins to change inside our hearts and we learn to listen to His voice above all others. Slowly, slowly, our lives become more manageable and peaceful. This can be a dangerous place to be, because this is where complacency creeps up on us and causes us to forget what we’ve been through and Who brought us out of the depths. It’s great to know that God provides a way of escape BEFORE we fall into the temptation. Taking that route would definitely be “Plan A.” But it’s also important to be aware of the fact that none of us is perfect, and we will make mistakes. We may even chew up a friend in conversation now and then. When we do, “Plan B” is Step Ten – humbly allowing the Holy Spirit to make us aware of our error, and taking immediate action to admit our wrong and make it right. Father in heaven, thank You for loving human beings so much that You not only gave us Your Son, but You promise to give us Your Spirit, as well. Give me ears today, to hear that quiet Voice that says, “Caution! You are moving in a direction that leads to pain and sorrow. Here’s your chance to make it right.” Please help me to take an honest inventory today and to right what is wrong in my life. In Jesus’ name, amen.